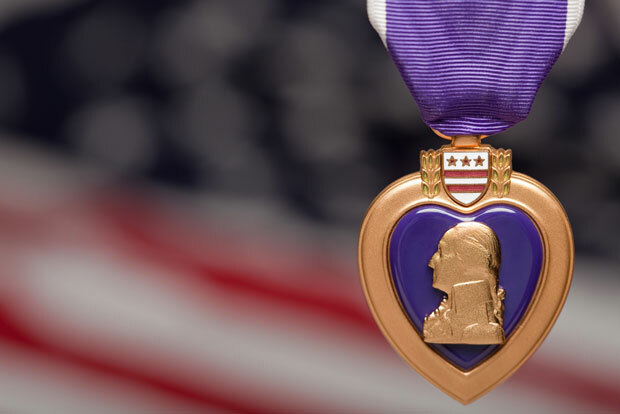 Enlist in our Wine & Beer Boot Camp educational series in 2016. Each month, we’ll march our way through a wine and beer training educational class, a salute to all things tasty! This training will make you more confident in choosing wines and beers AND pairing food with your drinks. Best of all, the more training you complete, the more you can earn in delicious tastings! You will receive a tasting Boot Camp booklet at your first class. Upon completing each class, we will stamp your booklet, acknowledging your attendance. Keep your Boot Camp booklet and earn a stamp for each class. The more you learn, the more rewards* you earn! 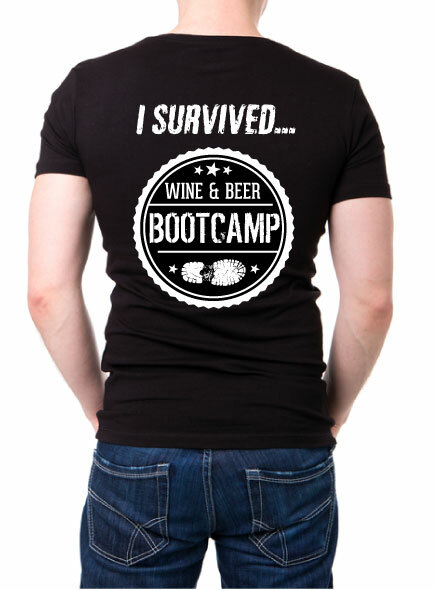 11 stamps in booklet = Free “I Survived” Wine & Beer Boot Camp T-Shirt! 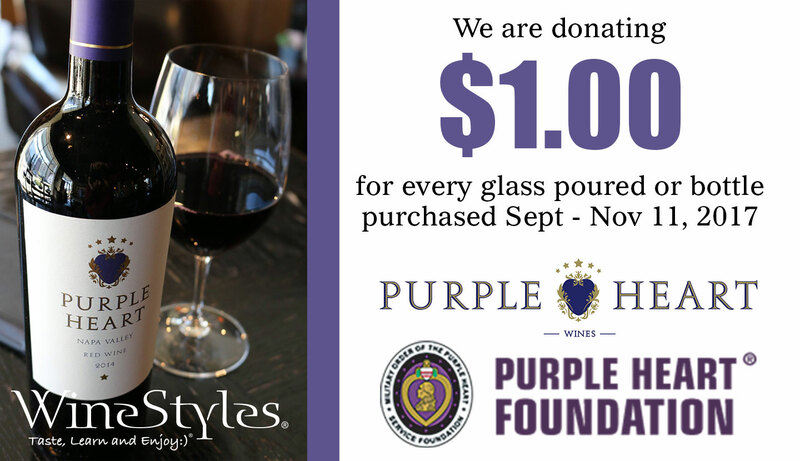 *Please note: Rewards may vary at different WineStyles locations. Offer void where prohibited by state or local alcohol laws. See your local WineStyles Tasting Station for details. I absolutely love this time of year! Spring time, flowers, trees, plants, starting to pop…. grill’s come out, people are outside exercising…. and Rose is released! Rose has really taken a bad rap in our country. What is the first thing you think about when I say “Rose”? Most people would say sweet blush wine. Matuse anyone??? You will show your age if you know what that means…. I don’t even know if I spelled that correctly. 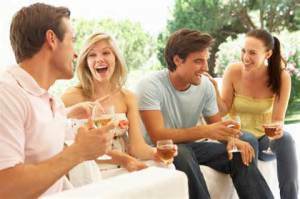 The basics of enjoying wine at Home!!! So….. you like wine…. you order a glass when you are out for dinner. You have your favorites that you tend to stick to, but every once in a while you get “out of the box” and try something new. Wow, your friend said to try a “blend” and you liked it!!! Alas. your new favorite!!! Fast forward two weeks later, you try a couple of blends and … not so much!! What is going on??? Do you stick with a certain grape, region, what do you do???? So, back to your “old reliables” when you stock up at the store… hey, at least you can’t count on em!! And life continues as you know it……. Sound like you???? Yay!! Wine from Tuscany!!!! Learn a little… what to expect! On average Italy is the world’s largest producer of wine over the last decade. Tuscan wine can be traced back to the 8th century BC!!! Do you think they know how to make vino!!! Brunello is the name of the local Sangiovese grape varietal that is grown around the village of Montalcino. Higher elevations, drier soil yield a wine that is rich and smooth… Tough to beat a Brunello! Another Holiday…. and what do I do about wine???? Ok, here we are, Valentines day is upon us!!! Wine seems appropriate right? But what do you do?? If you are heading to a restaurant for a meal, call ahead and either have a bottle ready or see if you can bring your own (save a little money) a drop it by in time for them to have it chilled for you! And, as you are seated… bang here comes the surprise… how cool is that!! 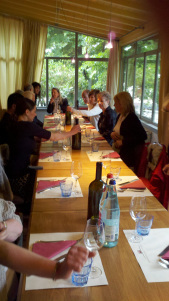 Great tips for Chianti ….. When it comes to stocking your wine fridge, or cellar if you’re lucky, you can and should do so with several things in mind. 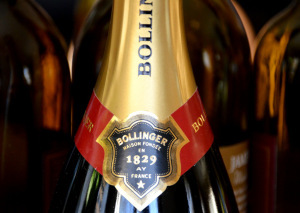 You have those special occasion bottles and the duplicates for comparative purposes. You have the obscure blend you found at your favorite store and the ones you picked up at the winery. And then you have the others. If you have the means and the storage, you have several bottles that are Monday wines. Wines that you know are the old reliables. Wines that you can open and not finish and not worry. The wines that you can pop for any reason or no reason and not have to think about them. Wines that qualify need to be affordable and versatile. Maybe you buy them by the case, maybe you stock up during the semi-annual sale. One favorite red for such purposes is Chianti. Vino, The Bubbly or Cab, Chard and Sauv Blanc—wine has as many different nicknames as it does types, styles and tastes. And within those types are styles that have an array of exquisite flavors. For those starting their taste trek, or even for the seasoned connoisseur, understanding various wine types, textures and flavors can feel overwhelming. I’d like to think choosing a bottle can be as easy as pouring a glass, but sometimes that’s not the case. Depending on occasion, menu items and price, searching for the right bottle can feel a bit like target practice, but with a little wineology, finding a type tailored to your taste is easy. The hops are coming! The hops are coming!! The 2014 Rogue Farms Big Wave Hop Harvest starts Wednesday morning here at Rogue Farms in Independence, Oregon. From last year’s harvest. John in the rows of Freedom hops, picking out what he’ll use to brew Wet Hop Ale. The first of our seven varieties we’ll pick are our Freedom hops. Don’t be surprised if you see John Maier poking through hop rows or inside the processing facility. John is using some of this year’s Freedom crop (and Yaquinas when they’re ready) to brew Wet Hop Ale. He’ll personally select the fresh cones to bring home with him to our Brewery in Newport. We’ll picking the remaining six Rogue Farms hops over the next three of four weeks. Hard to believe that after a year of such crazy weather (drought, floods and snow), the hops are healthy, ripe and ready for picking! So why a Big Wave Harvest?